Address: Room 427, Information Building, No. 59 Zhongguancun Street, Haidian District Beijing, 100872, P.R. China. I am an assistant professor in Key Laboratory of Data Engineering and Knowledge Engineering, Renmin University of China. My research interests include Parallel and Distributed Computing, Machine Learning, and Heterogeneous Database Systems. Our group (DBIIR) is looking for undergraduate interns and graduate students. If you are interested in system research and parallel computing, please contact me. Publication Chair for NPC'18. PC Member for ICPADS'18, HPC China'18. External Reviewer for SC'18. External Reviewer for ICS'18. External Reviewer for ICPP'18. Reviewer for TPDS, The Journal of Supercomputing. 1. Sep. 2012 ~ Jul. 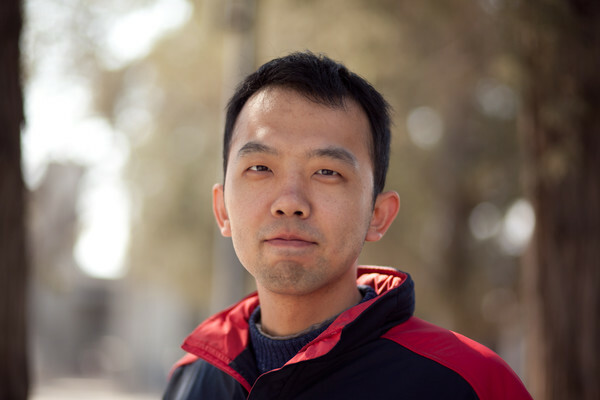 2017: PhD in Computer Science, Institute of High-Performance Computing, Department of Computer Science and Technology, Tsinghua University. Advisor: Prof. Wenguang Chen and Prof. Jidong Zhai. 2. Sep. 2008 ~ Jul. 2012: B.S. in School of Computer Science and Technology, Xidian University. [VLDB'18] Efficient Document Analytics on Compressed Data: Method, Challenges, Algorithms, Insights. Feng Zhang, Jidong Zhai, Xipeng Shen, Onur Mutlu, and Wenguang Chen. The 44th International Conference on Very Large Data Bases, Rio de Janeiro, Brazil, August 27-31, 2018. [ICS'18] Zwift: A Programming Framework for High Performance Text Analytics on Compressed Data. Feng Zhang, Jidong Zhai,Xipeng Shen, Onur Mutlu, and Wenguang Chen. The 32nd ACM International Conference on Supercomputing, Beijing, China, June 12-15, 2018. [CGO'17] FinePar: Irregularity-Aware Fine-Grained Workload Partitioning on Integrated Architectures, Feng Zhang, Jidong Zhai, Wenguang Chen, Bingsheng He and Shuhao ZhangHe. Proceedings of the 2017 International Symposium on Code Generation and Optimization. IEEE Press, 2017: 27-38. [ICPPW'15] HPC-Oriented Power Evaluation Method. Feng Zhang, and Liang Chen. IEEE 44th International Conference on Parallel Processing Workshops, September 1-4, 2015, Beijing, China. [APSys’14] Implementation and Evaluation of Deep Neural Networks (DNN) on Mainstream Heterogeneous Systems. Junli Gu, Maohua Zhu, Zhitao Zhou, Feng Zhang, Zhen Lin, Qianfeng Zhang, Mauricio Breternitz. Proceedings of 5th Asia-Pacific Workshop on Systems, ACM, June 25-26, 2014, Beijing, China. [TJSC'18] An Adaptive Breadth-First Search Algorithm on Integrated Architectures. Feng Zhang, Heng Lin, Jidong Zhai, Jie Cheng, Dingyi Xiang, Jizhong Li, Yunpeng Chai, Xiaoyong Du. The Journal of Supercomputing, 2018. [SCIS'15] Characterizing and optimizing TPC-C workloads on large-scale systems using SSD arrays. ZHAI JiDong, ZHANG Feng, LI QingWen, CHEN WenGuang, ZHENG WeiMin. SCIENCE CHINA Information Sciences, Published: 19 April 2015. 1. August 2013 - December 2013: Internship, Deep Neural Networks Research Group, AMD, Beijing, China. 2. April 2016 - November 2016: Visiting Scholar, Compiler and System Research Group, NC State University, Raleigh, North Carolina, USA. 1. “Guanghua Scholarship” of Tsinghua University ("清华之友-光华二等奖学金	综合三等", Third-Class Scholarship), Oct. 2013. 2. “Guanghua Scholarship” of Tsinghua University ("清华之友-光华二等奖学金	综合三等", Third-Class Scholarship), Oct. 2014. 3. “Guanghua Scholarship” of Tsinghua University ("清华之友-光华一等奖学金	综合二等", Second-Class Scholarship), Oct. 2015. 4. “National Scholarship” ("国家奖学金"), Oct, 2016. 5. “Beijing Outstanding Graduates” ("北京市优秀毕业生"), Jul, 2017. 6. “Outstanding Graduates in Department of Computer Science, Tsinghua University” ("清华大学计算机系优秀毕业生"), Jul, 2017. 1. MPMD 863 Project. A performance tool that can analyze MPI trace.